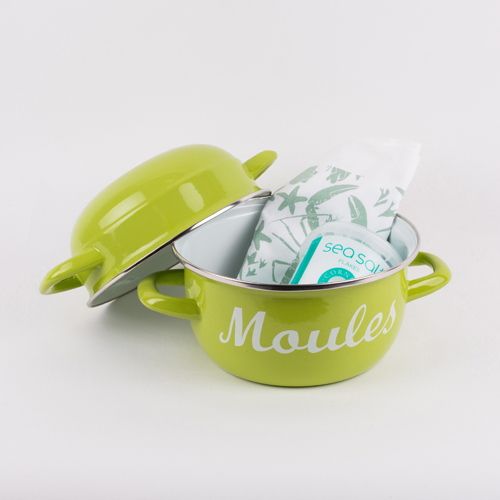 This beautifully co-ordinated Hamper is sure to be hit with Moules fans! 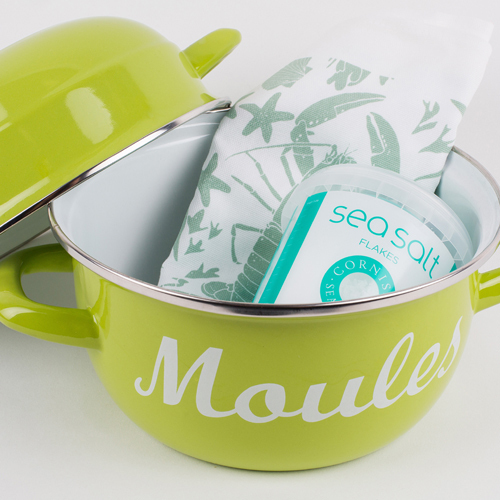 A Medium Moules Pot, a Sealife Mosaic Tea Towel and a Pot of Sea Salt Flakes- just add mussels, wine, garlic and friends!! 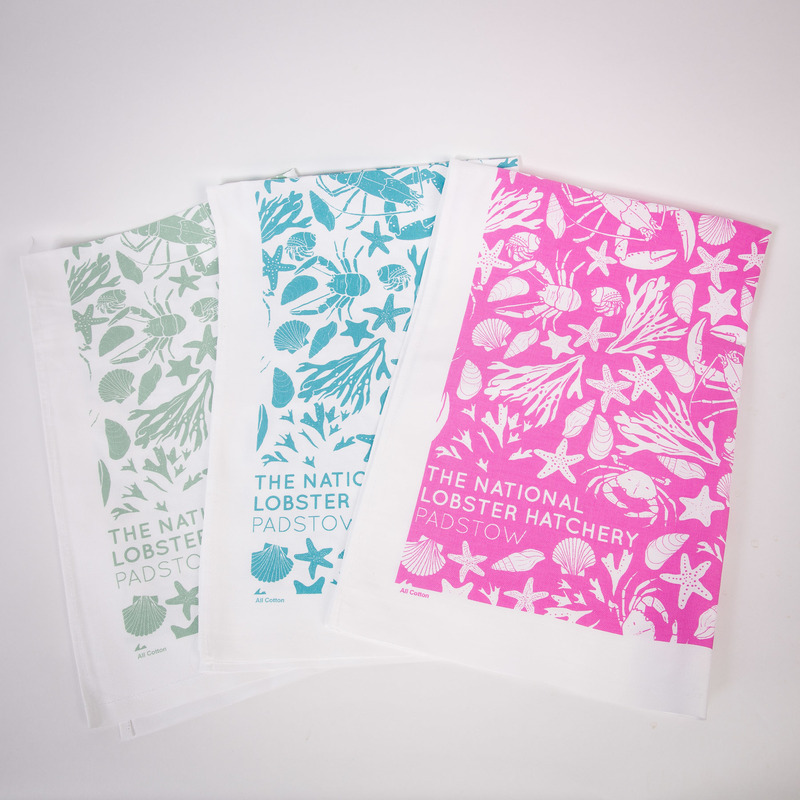 Soft Sage Sealife Mosaic Tea Towel - fabulous quality and generously sized at 50cm x 81cm, these 100% Cotton, 100% Cornish made tea towels were designed specially for the Hatchery by Demelza Homewood.